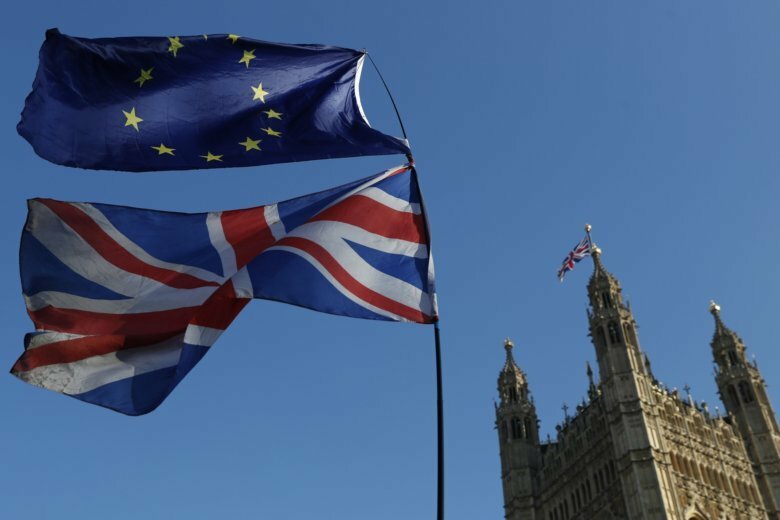 LONDON (AP) — Britain’s international trade secretary on Sunday welcomed proposals drawn up by hard-line Brexit supporters that outline what it would take for them to support Prime Minister Theresa May’s deal with the European Union. Liam Fox told the BBC that the European Research Group’s proposals, published in the Sunday Times, could be seen as an attempt to find common ground on the sticky issue of the Irish border. “I hope it’s a genuine attempt, and I think it is, to try to map out ground where we can have common territory” before the House of Commons votes on the deal next week, Fox told the BBC. Parliament rejected May’s deal in January, largely because of concerns about the so-called backstop, which is designed to prevent the need for physical border checks along the Irish border if negotiators fail to agree on a free-trade deal. Lawmakers on all sides opposed the provisions because they could leave Britain tied to the EU indefinitely. While the group didn’t detail how its goal should be achieved, it said the change must be contained in a treaty-level clause that “unambiguously overrides” the text of the current agreement. Graham Brady, chairman of the influential 1922 Committee of Conservative lawmakers, expressed optimism that a breakthrough was close. Brady suggested he could back May’s deal if the right compromise on the backstop emerged. Meanwhile, the opposition Labour Party remained divided over its next moves after party leader Jeremy Corbyn last week supported calls for a second Brexit referendum. John McDonnell, Labour’s spokesman on treasury issues, signaled Sunday that the party was likely to force its lawmakers to back legislation on a new referendum. But former minister Caroline Flint told Sky News that up to 70 of Labour’s lawmakers would oppose any such move. Corbyn had an egg thrown at him Sunday during a visit to a north London mosque. The Labour leader was not hurt and met with constituents at the Finsbury Park Mosque and Muslim Welfare House as planned, according to Britain’s Press Association. A 41-year-old man was “quickly detained” and arrested on suspicion of assault, the Metropolitan Police department said.